Before I get onto the main content of today's blog I wanted to give you a date for your diary: Sunday 19th September - 5pm - Derry's Cross, Plymouth. 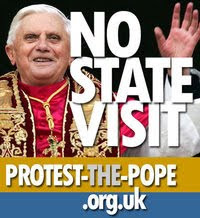 I will share some more information with you nearer the time but the event planned is part of a national event to protest against the Pope's visit to the UK. There are lots of different groups joining the protest and each group has their own reasons for doing so. There are already a large contingent of Catholics ready to join the protest as they are disgusted by the Pope's recent conduct. My personal reasons for joining are that I do not agree with the Pope's dated views on homosexuality, neither do I agree with the Vatican's use of power to cover up child abuse. The fact that the Pope still opposes condoms seems almost medieval in today's modern times. I also find it repulsive that we, the UK tax-payers, should have to fork our nearly 20 million pounds to fund such a visit. I will share full dates, times and activities of the Plymouth Protests within the next few weeks. Onto some more cheery subjects; Firstly thank you to the This is Plymouth website and the Herald Newspaper for their recent coverage of the art of dance. My blog was featured in Wednesday's paper and the art of dance also got a mention in the business section of the Herald too. 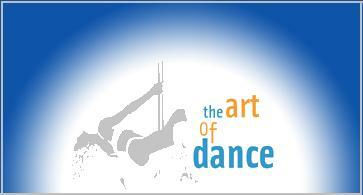 The art of dance re-launch is scheduled for the 4th September so get that date in your diary and feel free to invite your friends and family. I will share the full timetable of events with you very soon as well as linking to our fabulous new website! Yesterday my husband and I had to travel to Exeter to collect 4 second-hand x-poles, seeing as my husband has been playing chef this week I decided it was my turn to treat him, so we stopped for a spot of lunch in the lovely Devon town of Ashburton. Our first stop was one of the local bakers ( I have forgotten their name but will pay them a visit soon and give them the credit they deserve) where we purchased home made rye bread and a traditional white farmhouse loaf, both loaves were gorgeous! Next stop was the fabulous No.14 in the centre of Ashburton. I ate the most gorgeous fish pate I have ever tasted (see picture above), the pate is an award winning recipe form Ashburton's acclaimed Fish Deli. 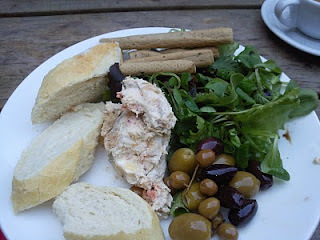 Ashburton is a beautiful market town full of independent traders, it makes a great day out and I hope to return again very soon where, no doubt, I will be eating some more fish pate! 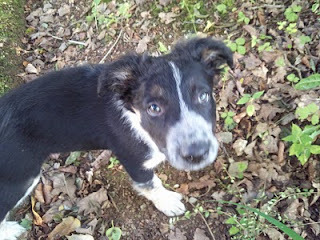 I must quickly share a picture with you of My Nan's lodgers new puppy Zimba - as you can see he is just adorable. 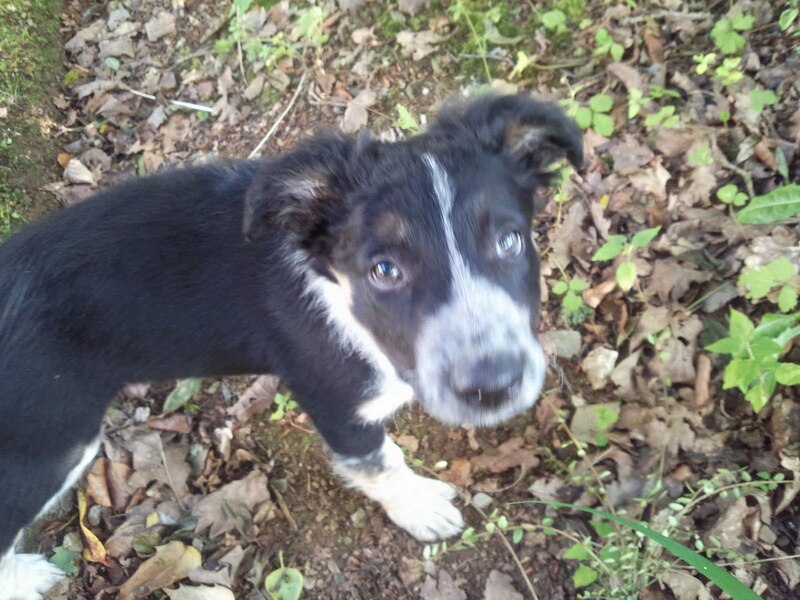 He is now 10 weeks old and I am very jealous that he is not mine. My last comment for today is regarding the fabulous news that one Plymouth Quango is finally being scrapped and hopefully the others will follow soon - Bye Bye CDC, you will not be missed by the People of Plymouth. Best I sign off now to do a little more work as well as planning a very evil session for my Monday night 6.15pm advanced students. My Tuesday 7.30pm students will be learning a new pole dancing routine that I hope they will enjoy. I will blog again ASAP.